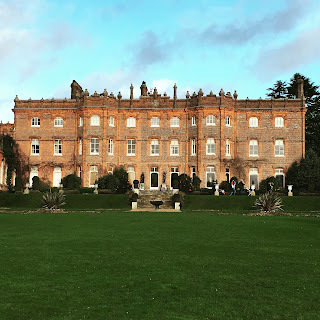 Following the theme of using our National Trust Membership, we decided to visit Hughenden Manor near High Wickham. I love stately homes - anything that resembles a stately home is an instant winning point for me. I love the way the look and I am fascinated by the history that surrounds them. Hughenden Manor is best known as the home of Benjamin Disraeli. Disraeli was a Conservative Prime minister in 1852. Queen Victoria was a strong advocate of him and invited him to be Prime Minister after his spell as Chancellor of the Exchequer. He is best known for his fierce political rivalry with William Gladstone. It is said that the two men couldn't have been more different or have more different opinions on matters. Gladstone was a member of the rich middle upper class - he was educated at Eton and then at Christ Church, Oxford. He was described as being torrential, eloquent and evangelical. Whereas Disraeli's parents were of Italian Jewish descent - he was educated at obscure schools and never went to university. He was described as urbane, witty with a streak of romance - he had the gift of flattery. The rivarly between the two was so intense that Disraeli's robe as Chancellor (which was passed on and worn by consecutive Chancellors since the 18th Century)should have been passed onto his successor and political rival Gladstone. However, when the time came, he couldn't bare to give it to his rival and he hid the robe away at Hughenden manor. The robe is currently on display in the Bartolozzi Room. We visited the manor very close to Christmas so the whole house was themed with "A Visit From Saint Nicholas". 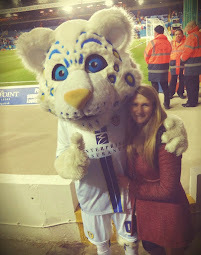 There were many events on to get children excited and the event became a family day out. There was even a mouse scavenger event - small hand knitted mice were scattered throughout the house and the children were asked to count how many they could find in the rooms! This did not detract from the history in the house or the amazing National Trust Volunteers who have banks of knowledge. It was wonderful to learn so much about a man I had never heard of in such a small amount of time and by people who are really interested in his life. In the library was a huge christmas tree, surrounded by presents - enough to get even the biggest of Christmas Grinches into that well loved Christmas spirit. In the bedroom were sugar plum fairies dancing on the walls and in the dinning room was a Jelly Tea Party. 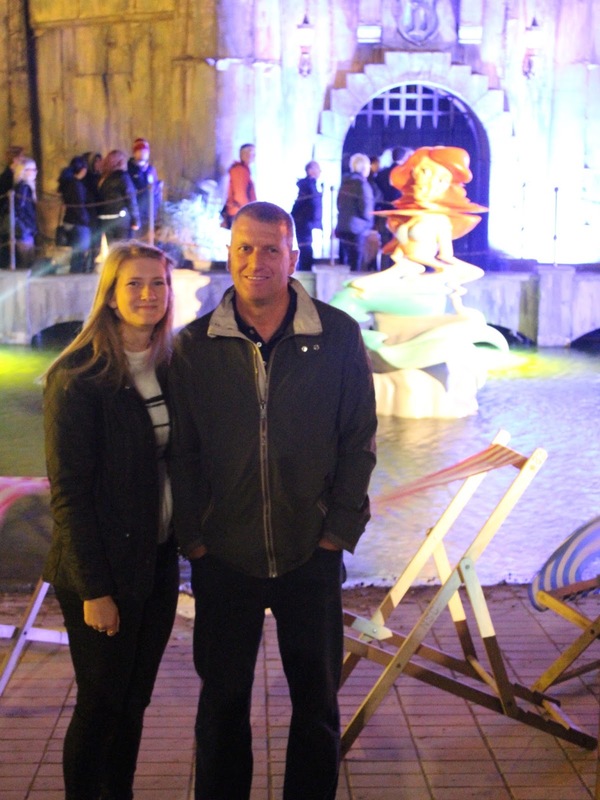 The events didn't stop in the manor, there was even a grotto and a game to find all of Santa's reindeer. 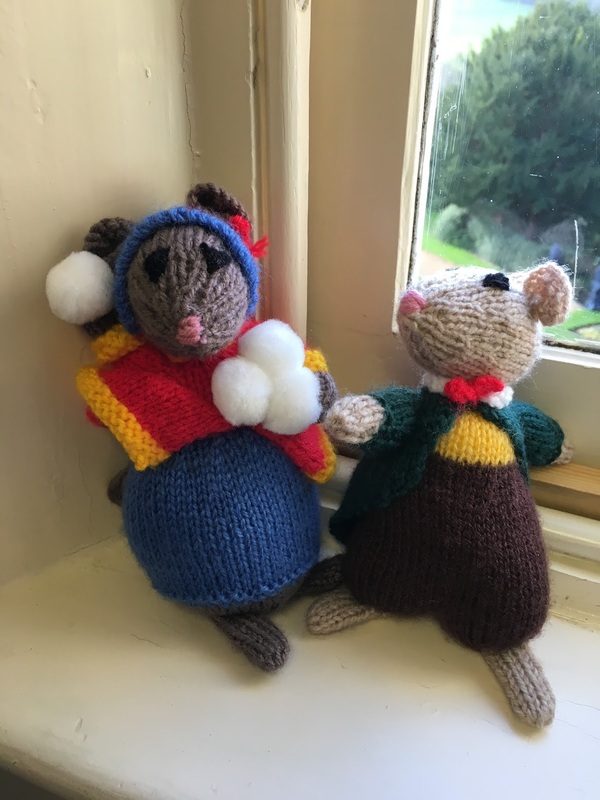 It is these small events put on in these places of great history that really differentiates the National Trust - that makes them ever so important in retaining our history and ensuring children of the future want to visit and want to learn. One of the most interesting parts of history, for me, has always been the Tudors. This was finally a Monarchy that had some stories to tell. I love the Monarchy and I am fascinated by our history, but there is something about the Tudors that the entire world finds fascinating. Hampton Court Palace was initially brought to the attention of King Henry VIII by Thomas Wolsey - his trusted Almoner. Wolsey transformed the estate into a palace worthy of a King. Following Wolsey's 'failure' to obtain a divorce for King Henry from his first wife Katherine of Aragon, he fell out of favour with the King and at this point King Henry seized the palace for himself. Around the palace are small pieces of history which show the Kings presence in this magnificent building. Whilst Wolsey was having the Palace built he included Katherine of Aragon's crest into the woodwork. When Henry finally re-married with Anne Boleyn, he removed these and put her crest in its place. Following the beheading of Anne, these were also removed. Today, there are a couple of these badges that still remain! Henry loved Anne Boleyn very much, he was infatuated with her and completely redesigned the Great Hall in her honour. The hall is beautiful and would have looked magnificent when it was initially built. At the very top, sat on the eaves, are small carvings of men looking down on the people in the hall - eaves-droppers! This is where the term has come from! One of the most impressive parts of Hampton Court Palace were the tours that are offered there. 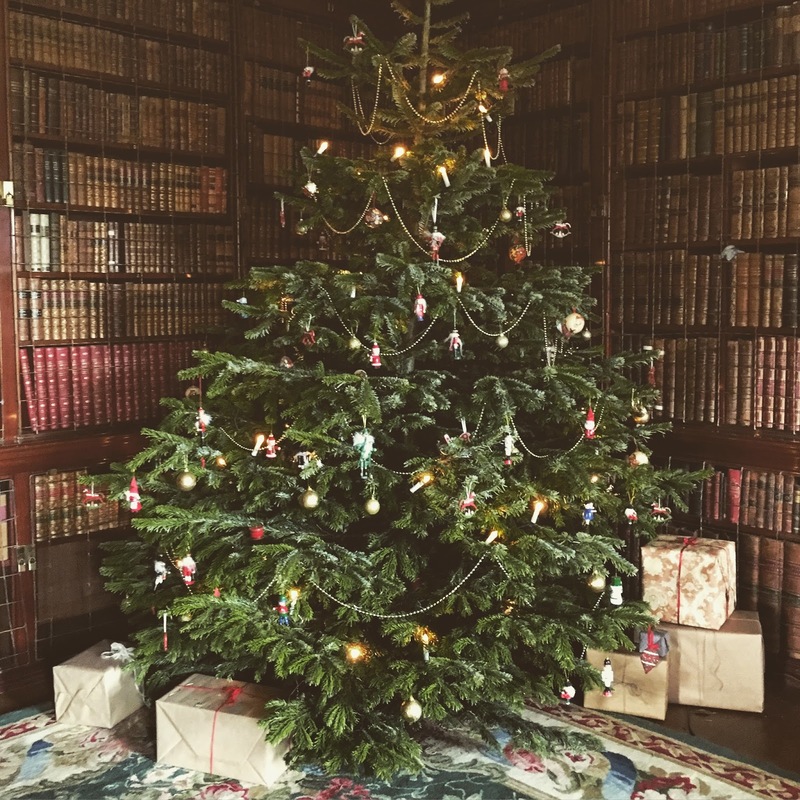 Actors dress up in the time period and take you around the Palace - showing you secret rooms, all the while acting some of the greatest stories to have come from the Palace. One of the most notable stories is that of Catherine Howard. Catherine Howard was the Kings fifth wife. She was beautiful, young and the King adored her. At this point Henry was more resemblant to the King we imagine - fat, ugly and mean. As time passed Catherine became less interested in the King and fell in love with the Kings favourite courtier - Thomas Culpeper. The Queen committed adultery with him (which wasn't the most intelligent of moves, considering the Kings history) and her love letters to him were discovered. During the tours the whole act of finding out about the love letters and questioning Lady Rochford regarding the incident was presented for us (torture not included). This was excellent as it became part of the one of the biggest ghost stories of Hampton Court palace - the ghost of Catherine running down the hall, screaming and crying, trying to get to her King to apologise - unfortunately she never made it and was beheaded for her crimes. The Palace has two very clear histories - its Tudor history and its Stuart history. After Henry's death, the palace fell to disrepair. It wasn't again inhabited for over 100 years, until King William III and Queen Mary II decided to take up residence. Extensive rebuild work happened under this period, with the original intention to knock the Tudor part of the Palace down and start again. However, with shortness of money, an additional part of the palace was added on. This creates a stark contrast when walking through the buildings as it is quite clear where one palace begins and the other ends. A further 100 years later King George III abandons the building as a royal residence. Finally, 80 years later, Queen Victoria opens up the Gardens and State apartments to the public free of charge. The building has been open to the public ever since. 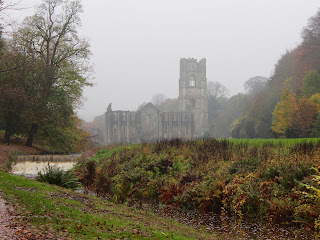 Fountains Abbey is one of the largest and best preserved Abbeys in England. Built in 1132, this Abbey has been standing since Marco Polo went on his voyage from China to Persia, the black death killed a third of Europe's population, the Forbidden City was constructed in China, King Henry ordered the dissolution of the Monasteries, the industrial revolution and even the first mission to the moon. My boyfriend and myself decided to get National Trust memberships when I moved to the North for a year for work - there is so much history in the North - there must be loads to see, right? 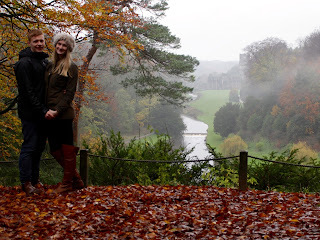 Fountains Abbey was recommended to me before I moved to Leeds - so it became a must see. The day was wet, windy and pretty miserable (I don't believe the weather has changed from this since), but we drove there regardless. To our surprise, the wet weather was actually a blessing in disguise. 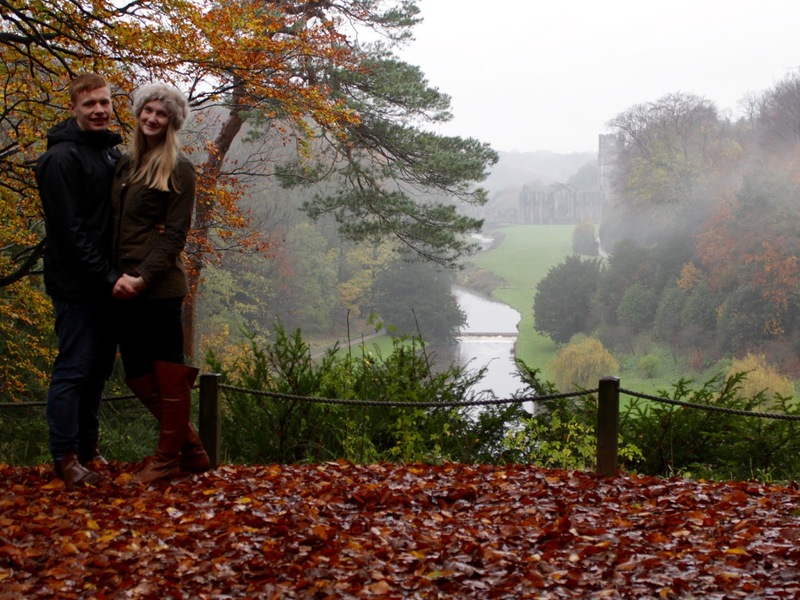 The entire World Heritage Site was empty, just us and the National Trust Volunteers present. We were able to see the Abbey in its full glory - the yellowed autumn leaves framing the mysterious building. The rain caused a foggy effect that gave the entire site a spooky feel. It has been said that on some dark nights, a ghostly choir can be heard chanting from the Chapel of the Nine Alters - maybe it wasn't just the misty rain that was haunting us! The Abbey itself was an amazing building, made of Marble and several stories high. 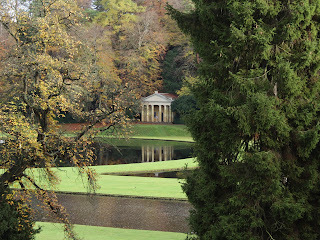 But this was not the best part of the estate - in my opinion, it was the Studley Royal Water Garden. Following the dissolution of the Monasteries by Henry the VIII (an event that would have directly impacted the day-to-day life at the abbey) the estate was sold to a Merchant - Sir Richard Gresham - and the abbey and its grounds entered private hands. The most notable owners being the Aislabie family - John and William. Between them, they created an exquisite water garden that still looks the same way today, as it would have looked back when it was first designed and built. Surrounding the water gardens are the most picturesque views and forestry, with winding paths that snake up the hillside. Every path is bordered with Pheasants - the males far more brave than the females. 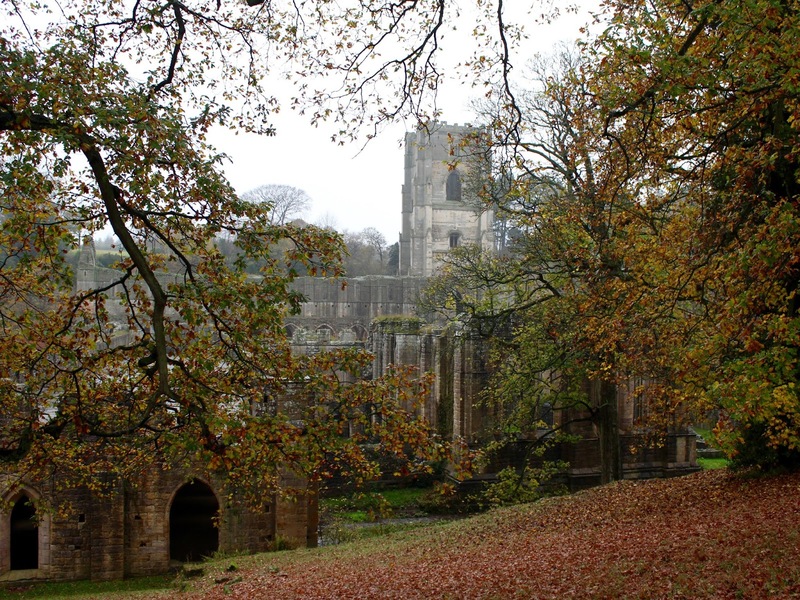 One of the winding paths takes you to Anne Boleyn's lookout - although it is believed she never visited Fountains Abbey, there is a headless statue there, watching over the abbey, which is believed to have been made in honour of her! Another part of this World Heritage site is a deer park, where local wild deer run freely! Seeing these beautiful animals in England was amazing - they seemed so much more majestic than the deer we got close and personal with in Japan! 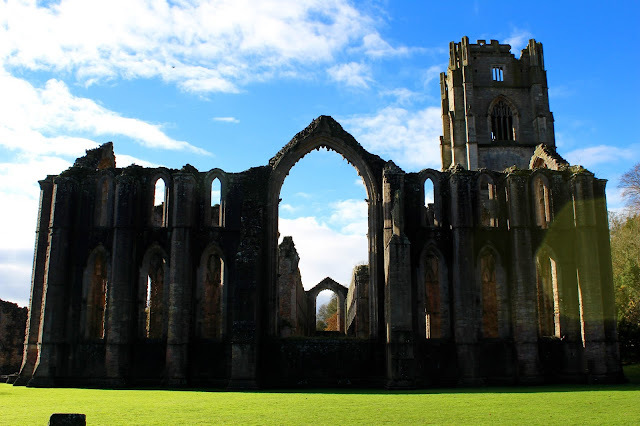 During this time the rain cleared up and the sun (and unfortunately, all the other tourists) came out and we were able to see the Abbey in the sunshine. What this building must have looked like all those years ago when it was in its full glory must have been an extraordinary sight to have seen, and one I wish we had the opportunity to see today! I have grown up around Weston-super-Mare, it is where I went to school and where I went to college, it is where I have met some of my closest friends. When I heard that Banksy - a notorious Bristolian street artist - had opened an "amusement park" in the towns derelict Tropicana, I was intrigued. I know very little about art, so I won't act like I do, but I still like to look at pretty things. 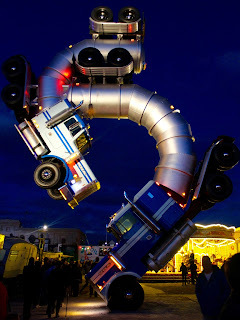 We decided to wait a couple of weeks after opening to miss the initial queues - this meant we were able to buy tickets for a specific time slot. 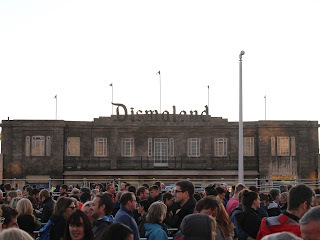 We arrived at 7pm, as our ticket stated, to find there was a 50 minute queue of people who had done the same thing - the initial excitement had not declined! When we finally reached the front of the queue we entered another queue, this time in three lines – allowing us to pass through the "Dismal security". One of the security officers was shouting at us for not joining a smaller queue – accusing us of “enjoying queuing”. This offended my mother instantly and she could not understand why there was "the need for such an attitude”. We had to explain that this is what they were hired to do - be dismal! My brother was not allowed to pass through security until he had put his hoodie hood up! 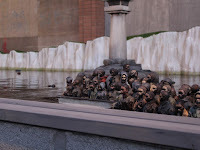 Once we got inside there was more evidence of the Dismal theme – with depressed park attendants all looking like they were having the worst day of their lives! My father and brother were already in the Dismal mood after the long queue and what we found inside did not lighten their spirits. 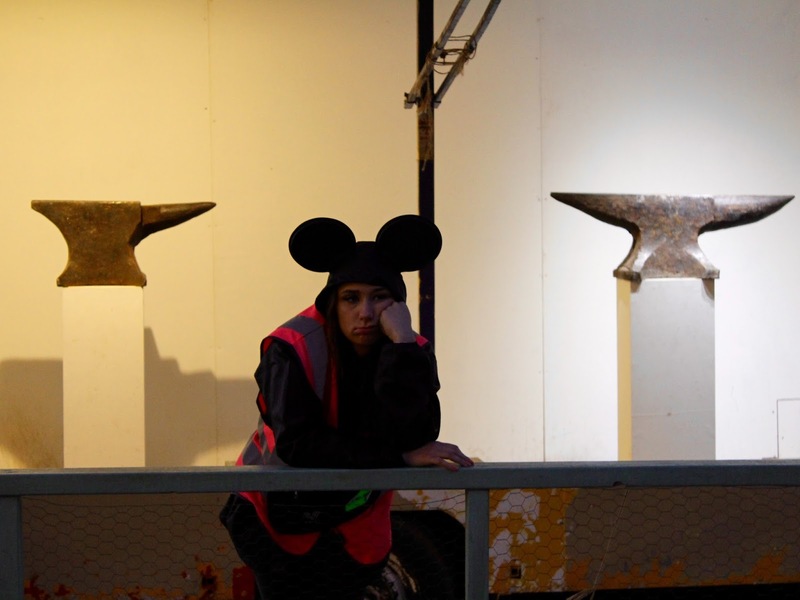 The place was designed to be as depressing as possible – to the point it wasn’t depressing, but instead funny. 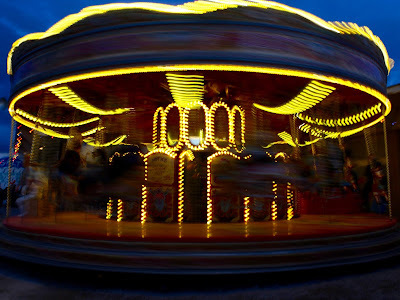 Cinderella’s castle looked like it had been caught in an arson attack, tables to eat food were surrounded by puddles and the Ferris wheel looked like it could fall over at any minute. 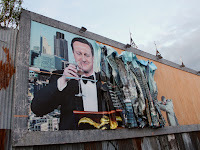 We walked round, looking at notable structures along the way, such as the two trucks in a ballerina pose by Mike Ross and the carousel with the horse meat butcher making lasagnes – another one of Banksy’s clever references to social scandals. 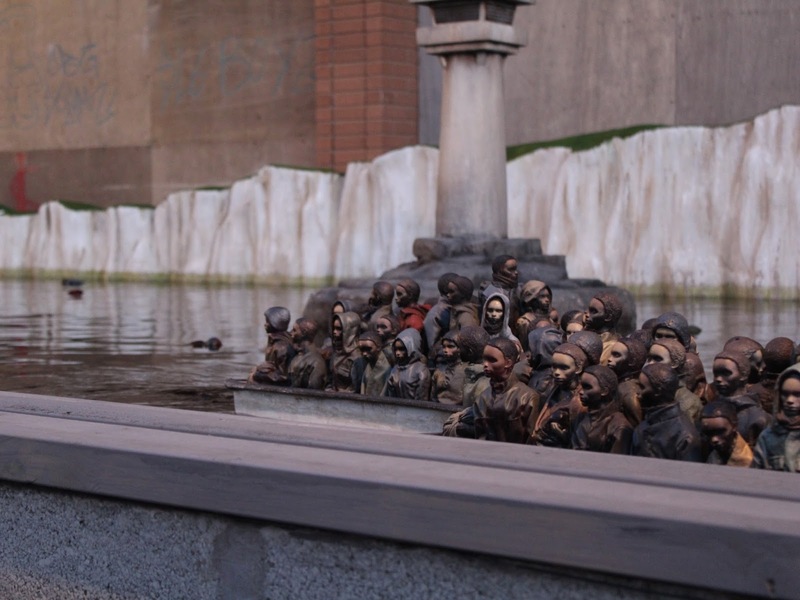 Next to this we found the tiny boats filled with immigrants, with many face down in the water. The public could control and drive the boats and there was even a warship with a machine gun on the front. We headed past the lady being attacked by birds into the viewing gallery. This was where the standard art gallery made its appearance with pictures that touched on all of society. 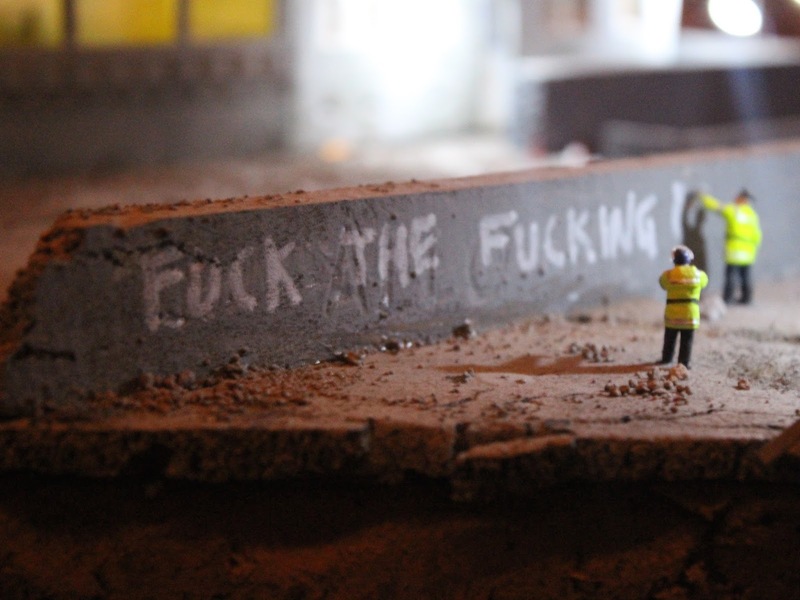 At the very end of the gallery was a model toy village with miniature people and cars. The Dismal park attendants here were in their prime – shouting at people for taking too long to look at the model and laughing at those taking pictures. After leaving the gallery, nightfall had arrived and the park began to glow – unfortunately for Banksy, making it look a little bit happier. We walked past the attendant who was running a stand where, if you could knock over an anvil with a ping pong ball, you could win the anvil, and headed towards the castle. 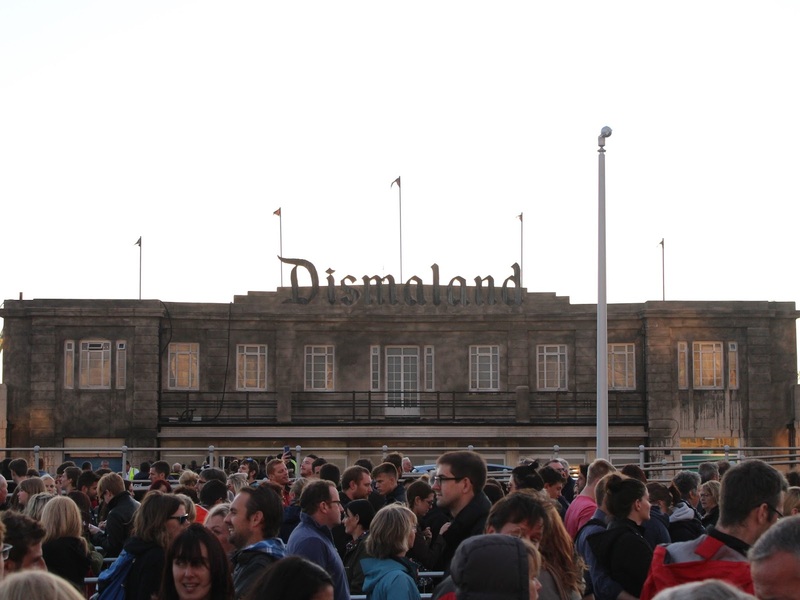 The queue was huge – around the entire park. 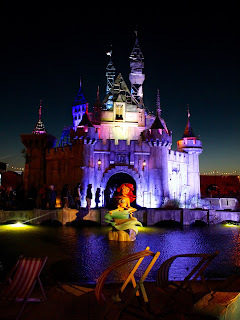 After we finally reached the entrance of the castle an old TV was playing the end of Cinderella – where she marries the Prince and drives off to live “Happily Ever After”. Once we finally got inside there was only one piece of work, which the entire castle was built to house. Cinderella fallen from her carriage – her outlook looking grave and instead of helping her, there was paparazzi photographing her. It was a strong resemblance to the sad end of the late Princess Diana. Even my Dismal father had to appreciate that piece of art. We left, feeling a bit sad, like our evening had been a touch depressing. But isn’t that the point – to leave feeling Dismal?